Earn up to 3,208 Points. H.265 compression format will be more clear , HD resolution offer you best image quality in a lower bit rate.Save more storage space,can reduce 40%-50% file size,save your HDD storage space and reduce your purchase cost. This camera has a very good night image quality. With 36PCS IR LED lights and infrared radiation for 24-hour vigilance,the camera night vision range is up to 100 feet in the dark,good reassurance in terms of preventing security threat. 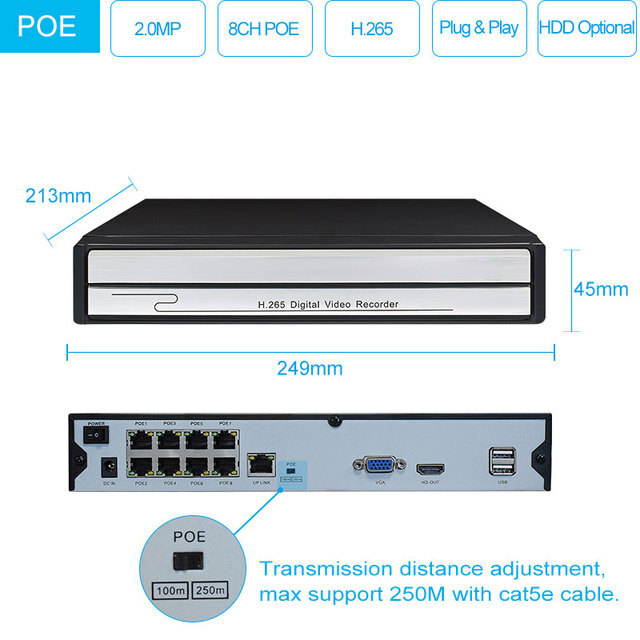 Pre-installed 1TB HDD (Optional) for 24/7 recording and monitoring.If you want longer recording, try motion detection recording, which will trigger recording only when motion is detected, full save hard disk storage. 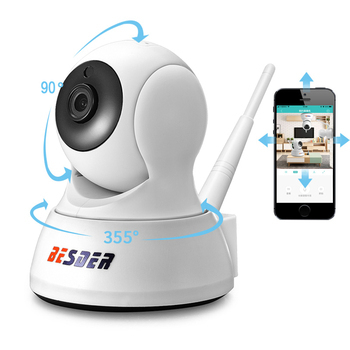 One of the best outdoor security cameras ever with IP66 waterproof IP rating! 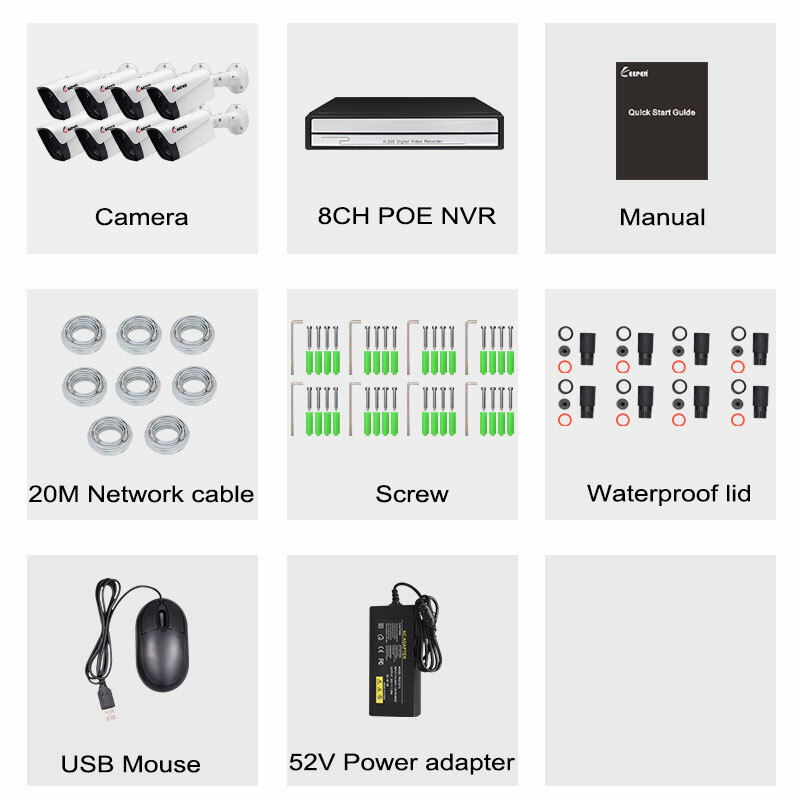 The weather resistant body and housing made of aluminum alloy enable it to work perfectly even in bad weather, like in heavy rains or snows. 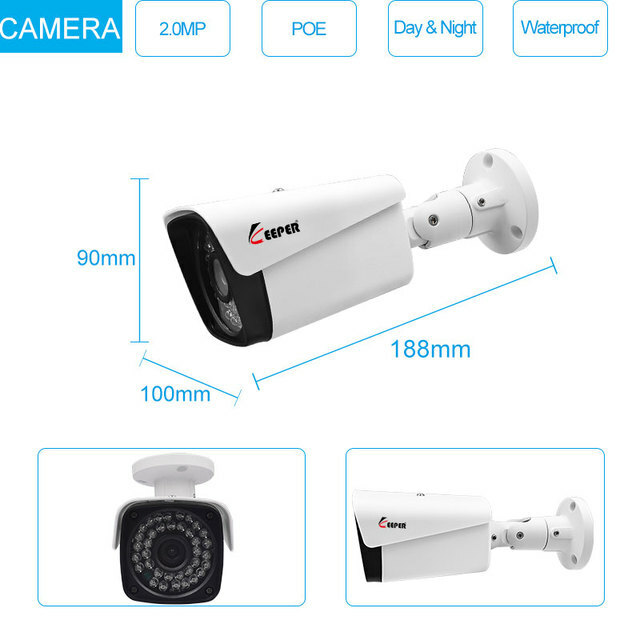 Auto IR Cut switch provides 7/24 day and night picture,the camera uses 36pcs IR LED,has about 20m IR night vision distance. No matter where you are, you can remotely access the camera to see live streaming and stay connected.Download the free app KPvideo on your mobile or PC,on PC it supports Windows and Mac. 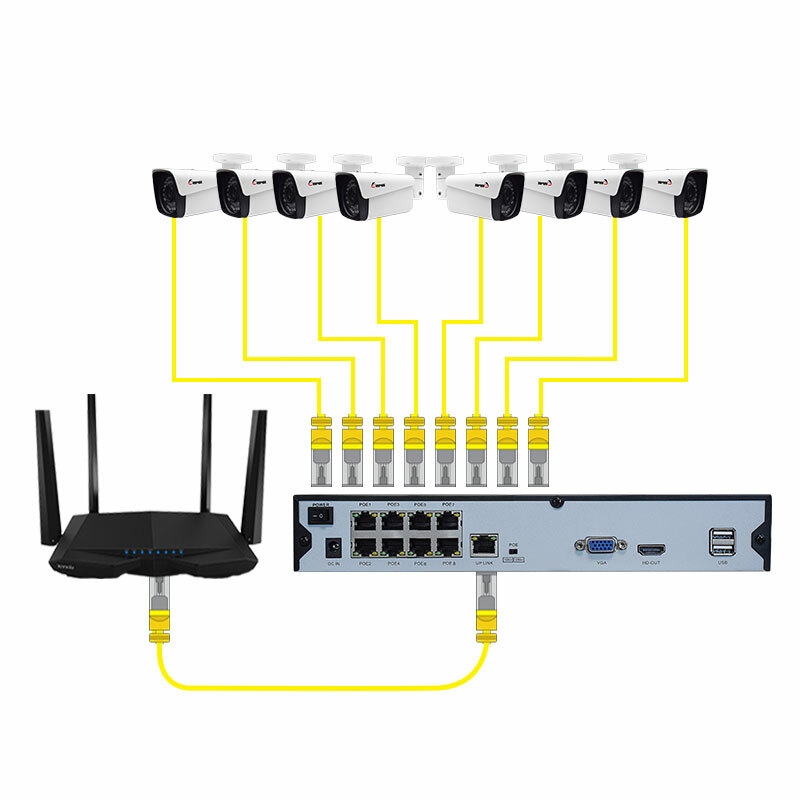 it can be quickly and easily setup by anyone.you only need to plug in the power for all devices,plug and play.